« All Saints, All Souls, Dead Day? n 2014, Russia and China agreed on a 3-year ruble-yuan currency swap deal of up to $25 billion. China has been pushing for a greater use of the yuan in oil settlements. As the country has become the largest oil importer overtaking the United States, it can now dictate rules, experts note. 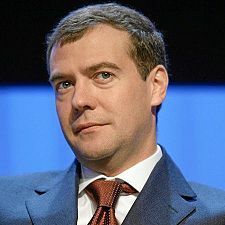 BEIJING (Reuters) – Russia and China were considering linking their national payment system, Russian Prime Minister Dmitry Medvedev said on Wednesday, as he called for a more balanced global finance structure. Beijing’s scheme aims to shift trade in “black gold” from petrodollars to a proposed petro-yuan. 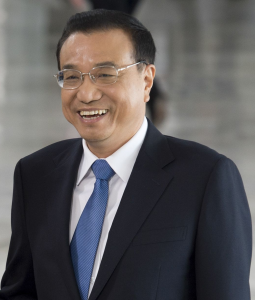 Which benefits China by making its currency more attractive internationally and providing greater energy security. However, the biggest winners may well be in Moscow. Because any decline in the dollar’s status severely dilutes Washington’s ability to wage economic war against Russia, via sanctions. As the world’s biggest petroleum producer, Russia is vital to Beijing’s project. And, in turn, as the planet’s largest crude importer and most sizable economy (measured by purchasing power parity), China is the only country with the heft to challenge American financial hegemony. The USA pushed sanctions on Russia related to Crimea. The Trump Administration has kept those sanctions basically in place. The Trump Administration has also threatened China with financial sanctions related to North Korea. While the US dollar still clearly dominates international trade, it should be little surprise that the nations considered to have the world’s second strongest military (Russia) and second largest economy (China) have been taking steps to reduce the dominance of the USA–the nation considered to have the strongest military (cf. Daniel 11:39) and world’s largest economy (though as a group, the European Union actually has the world largest economy). For nearly a century, the United States dollar has served as the world’s premier reserve currency, taking the crown once worn by the pound sterling. The future of the dollar as the most popular reserve currency is less certain. Reserve currencies are foreign currencies held by central banks. When a country acquires reserves, it doesn’t place the currency in general circulation. Instead, it parks the reserves in the central bank. The reserves are acquired through trade, with the acquiring country selling goods in exchange for currency. Reserve currencies thus grease the wheels of international commerce by helping countries and businesses conduct transactions using the same currency, a much simpler task than settling transactions involving different currencies. Their popularity is easy to see: between 1995 and 2011, the amount of currency held in reserve increased by over 730%, from around $1.4 trillion to $10.2 trillion. Michel Sapin, the French finance minister, called for a “rebalancing” of currencies used in international transactions, implicitly criticizing the status of the U.S. dollar as the principal international reserve currency. Sapin joins a long tradition of French finance ministers criticizing the dollar’s privileged status, which goes back to Valery Giscard d’Estaing. In the 1960s, d’Estaing, who served as President of France from 1974 to 1981, said that the United States received an “exorbitant privilege” due to the greenback serving as the basis for much of international financial transactions. The purpose of a reserve currency is to help smooth international transactions. Imagine a company that wants to sells goods to a company in a country with a different currency. When it comes to currency, the companies have two potential problems. First, the exchange rate between the two currencies could shift dramatically and change the price of the good. Secondly, the importing company might use a currency that isn’t used much outside of its borders and trading that currency might be difficult. By using a widely circulated currency, such as the U.S. dollar, the two companies eliminate the two risks. But the two companies whose transactions are smoothed aren’t the only ones who benefit. The issuer of the reserve currency, the United States in this case, also benefits. More companies and individuals using the dollar means more transactions denominated in dollars, which provides more liquidity for this currency. Liquidity means that financial assets can be priced more easily and loans are more easily provided. In short, U.S. firms get easier access to capital because of the dollar’s reserve status. Essentially, the benefits to the USA have included making money on international trades that the USA otherwise would not be involved in, less inflation, a subsided economy, lower borrowing cost, a more attractive investment market, and getting many goods from foreign lands at less cost than would otherwise be possible. This status for the USA will not continue–places like the European Union also want to dethrone the US dollar. The time will come when the US dollar is dethroned and this will inflict great pain, though not the “greatest pain” that the North Koreans want, on the USA. But shortly after the US dollar becomes close to worthless, the great tribulation (Matthew 24:21) will come and the USA will be no more (watch Do these 7 prophesies point to the end of the USA?). North Korea cannot, of itself, cause that. But actions and reactions to and from North Korea are partially setting the stage for that. In 2009, my 2012 and the Rise of the Secret Sect warned that the U.S. dollar will ultimately be worthless with another currency (with European involvement and/or control) taking its place in the world (see Chapters 7-8 and Appendix B). Because we are seeing steps to make this happen. Do not think that the USA will continue to be number 1. The USA will ultimately be eliminated according to biblical prophecies (e.g. Daniel 11:39; Habakkuk 2:6-8; Isaiah 10:5-11). This entry was posted on Wednesday, November 1st, 2017 at 7:00 am	and is filed under Prophecy. 2025: The end of US dollar dominance?